Declutter your way to happiness: Cassandra Aarssen is a Professional Organizer and creator of the successful blog and YouTube channel, ClutterBug. After struggling for years with chaos and clutter, Cassandra transformed her home and her life through organization. She now shares her favorite organizing tips, tricks and secrets in order to help others declutter their way to happiness. 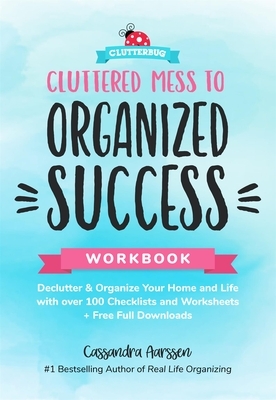 Cassandra's debut book, Real Life Organizing has been inspiring families from all over the world to get control of their clutter and fall in love with their home all over again.